Season 6 has a lot of colours for Sam that he doesn’t normally wear. 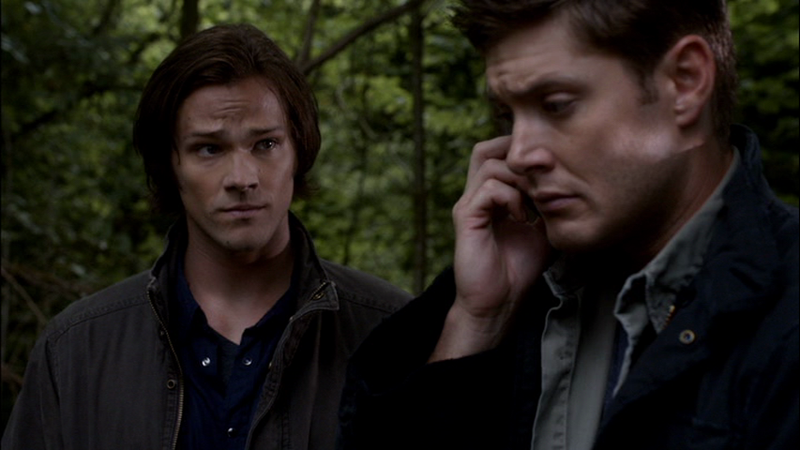 Usually, it’s Dean who favours that dark single-colour shirts, whereas Sam likes lighter striped/plaid shirts. This new acquisition for Sam is a dark blue shirt. Still, in keeping with Sam’s usually preference, it does up with snaps, not buttons. In Weekend at Bobby’s (6x04), Sam is wearing it when he and Dean call Bobby for help in identifying the monster claw that they found next to the victim in the park.